A slight layer of noise, but the recording is decent, and there’s no distortion, but the mix sounds quite.. hollow. The last three songs are in really good quality. A good performance, which was forgotten because of the poor sound at the gig. Although the are some mistakes, Ian sings in tune most of the time, and Reni plays some of his funkiest stuff during the IATR and Fools Gold medley at the end, using bongos on his kit to good effect. Squire’s guitar is on top form, assisted well by Mani, apart from his mistake on IATR. The last two songs contain some of the best live stuff the Roses ever did. Because this was one of the Roses’s great gigs, and was also a good performance. Contains Ian Brown’s famous “It’s not where you’re from…” speech too, after the crowd continually chant “Manchester, la-la-la, Manchester, la-la-la”. 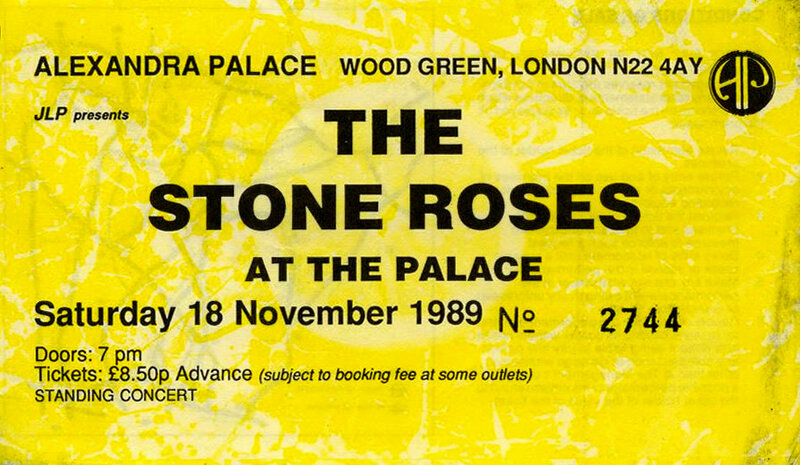 This was the second of the Roses’ big gigs, after Blackpool. Unfortunately, they used a mate of theirs to set up the sound system. During the soundcheck it sounded ok, but when the crowd came in it completely changed the acoustics of the grand hall, leaving the sound in a complete mess. The engineers worked hard to improve the sound, and did, but even at it’s best it was just about adequate. Ian Brown later said in 1998 that he and John left in a car after the gig and didn’t say a word all the way home – they were too disappointed in it. 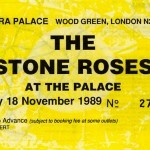 Still, it was another event, and about 7,000 people saw it, the Roses first major gig in the south of England. Ian brown singing out of key. No way. Heaton Park was superb having been to see them in blackpool at that now famous night, by pure accident and now whay dnt even want to say how many years later but felt 16 again. Amazing band. “Its not about how you sing but what your saying”. I think. Good to see a different order from the expected norm.